AireTech Air Conditioning & Heating provides heater and air conditioning repair, service, installation and services in Moreno Valley CA and surrounding areas. Check out what some of our customers are saying about AireTech Air Conditioning & Heating Heating and Air Conditioning services. They showed up on time and treated us like we've been long time friends, Mike went above and beyond to design a great ducting system. Never had such good air flow in my home. I have used Aire-tech for years and their expertise and service are head and shoulders above any other service. They are professional, prompt and have a genuine concern for their customers. They use quality equipment and their knowledge and technology is top notch. If you are looking for a reliable and top quality service, look no further. This was the best expirence we have ever had with a contractor! Mike Page kept us informed of everything every step of the way! Very professional! Very friendly and helpful! Would definitely recommend for anyone else! Quick service, fair price, great deal. I've been using them for twenty years. 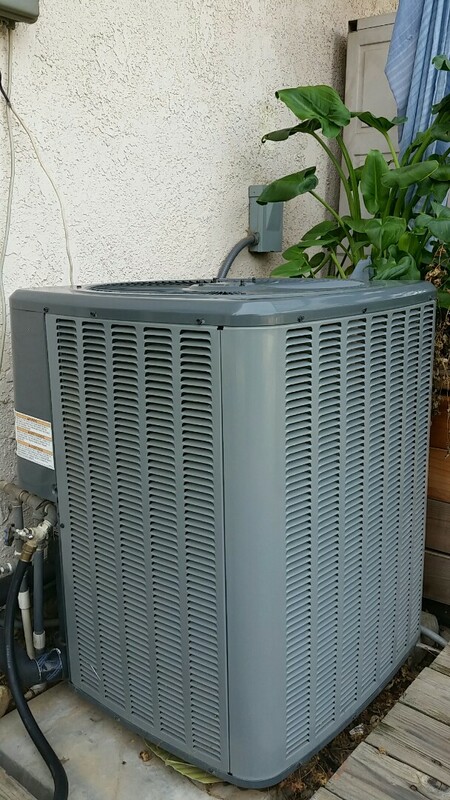 Servicing a heater in Moreno valley for a great couple! I'm here in Moreno valley repair a heaters hotsurface igniter for a wonder family.